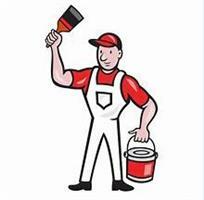 John's Decorating Service - Home Improvements, Painter/Decorator based in Watford, Hertfordshire. My name is John Faulkner. I have been established for 28 years working as a sole trader. .
My work includes decorating insde and out, also carpentry, fencing, floor laying, decking and DIY jobs around the house. My work is of high quality and at competitive prices.